In order to make sure your parcel arrives safely and intact at its destination, using the correct parcel packaging is vital. Your parcel is likely to be handled by around seven people throughout its entire journey to its destination, all of whom work under very tight time constraints to make sure that your parcel is delivered on time. Courier services aim to deliver as soon as possible and so to ensure your item arrives on time, it’s important to follow the guidelines provided by your chosen courier service. 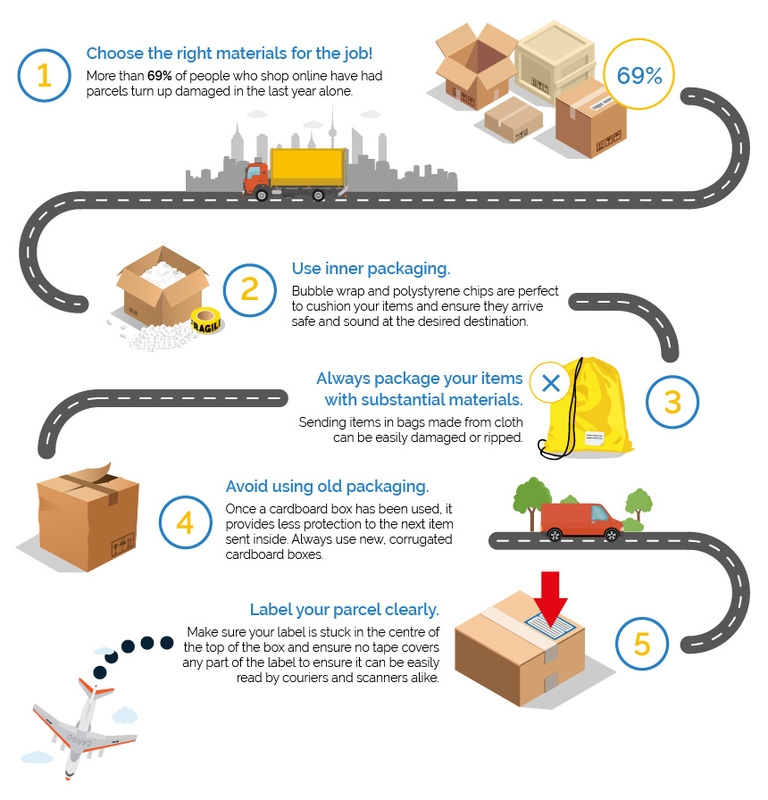 It is also important to bear in mind that while the majority of parcel delivery services have similar parcel wrapping requirements, some do have different postal packaging regulations. You should always package your items using the proper parcel wrapping materials as opposed to bags made from cloth since these can be easily ripped or damaged by machinery or during transit. For the same reason, you should avoid using old or worn down packing materials. Even if the cardboard box is still in pristine condition, once it has been used it provides far less protection to the next item it holds. Luckily, cardboard boxes are relatively inexpensive to buy and are available in a variety of shapes and sizes perfect for the biggest and smallest of goods. Corrugated cardboard boxes also provide good protection, whilst being lightweight and making them easy to load and unload from any mode of transport. Parcel delivery isn’t always as straightforward as it might appear. 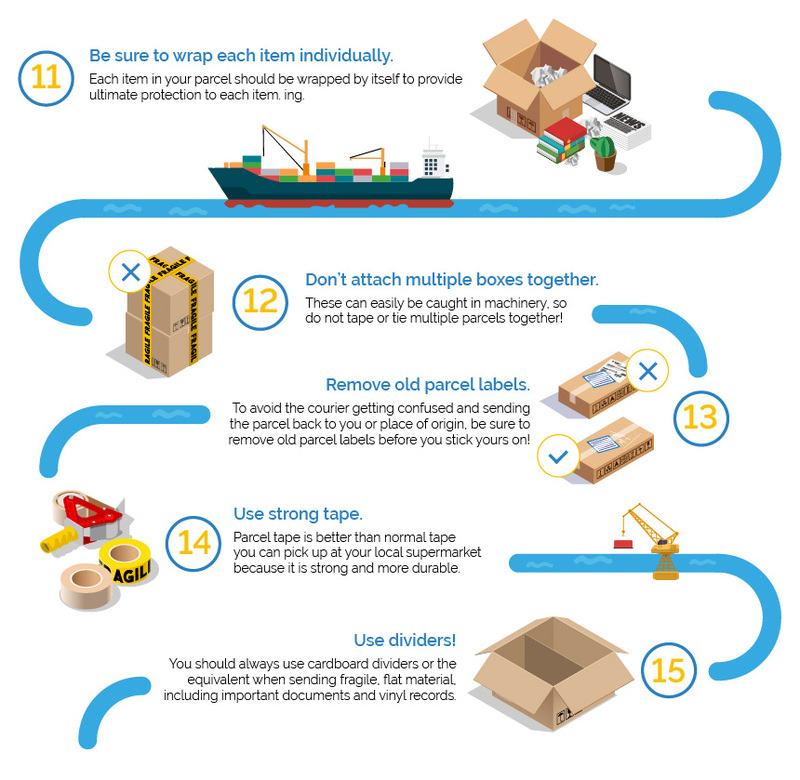 Wrapping your parcel and securing its contents in place may seem easy enough to do, but you need to consider the extent of the journey you parcel is about to embark on. You may feel confident that you have the parcel wrapping and box packaging technique down to a T, but for extra peace of mind you should consider these additional steps before you wave goodbye to your parcel at the depot. When thinking about your box packaging, you should make sure to use a sufficient amount of internal packaging to hold your items in place during transit. Bubble wrap and packing foam are just two of many materials that can provide that much-needed additional layer of protection to ensure that your parcel arrives at its destination in the same condition that it was sent in. If your items are particularly fragile or have a high value, you may want to consider taking out additional compensation cover for your parcel. Enhanced compensation cover is great because it gives you the extra peace of mind that you need. Please be aware that not all parcel delivery companies include a standard compensation cover on local or international delivery services and so you may be required to pay a small fee to cover your parcel. This can be up to £5,000 depending on the service you choose! Some courier companies have introduced new two-tier cover options that provide great rates both with and without cover for international services, so get in touch for more information on exactly what services you will be getting for your money! While it is understandable to want to make your parcel look attractive, especially when sending gifts, you should avoid ‘flashy’ parcel wrapping or postal packaging that may attract attention. Choosing the wrong type of parcel packaging could leave your parcel at risk of being stolen, so make sure you think about what you are sending to identify the suitable postal packaging for it. Parcels being sent by air, sea or van go on quite the adventure. 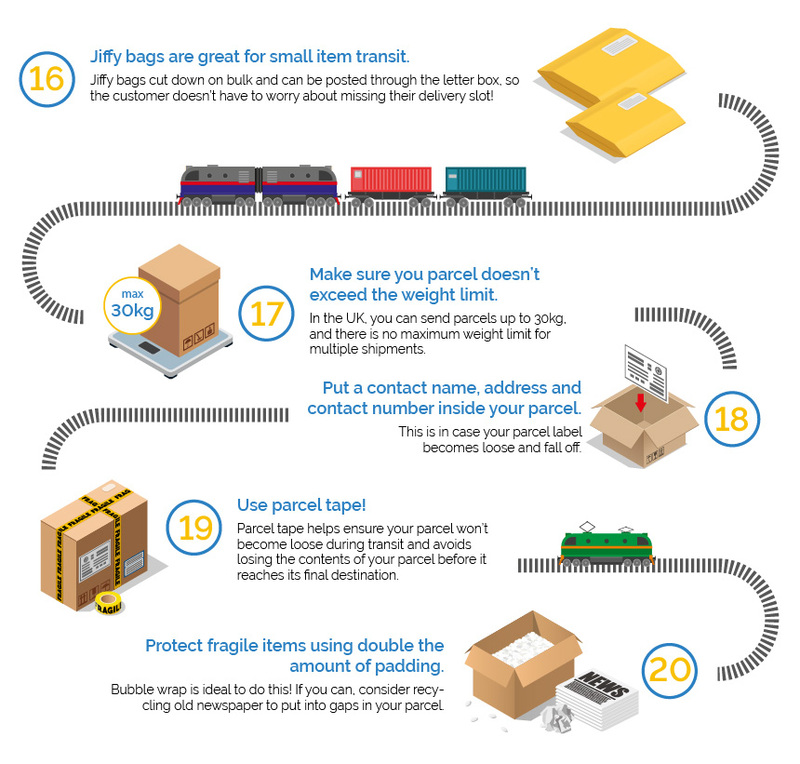 Once your parcel leaves your home or workplace in the safe hands of a courier, it has a long journey ahead! As your boxed parcel embarks on its travels, it will unavoidably become subject to shocks and jolts, which is why sufficient parcel wrapping and parcel packaging is so important. To stop the contents of your parcel being damaged or even damaging one another, you can wrap each item individually in bubble wrap and package the most breakable items in the centre of the box packaging to ensure these get the most protection. Once collected from you, your parcel box is taken to your local depot where it will be sorted and transferred to the suitable hub, only to be sorted again before it starts its journey to the airport if it is shipping internationally! This is why it is so important to remove old postal packaging labels to avoid confusion. Parcel delivery companies and couriers advise that it is best to use a brand new, double walled cardboard box to package your items since re-used boxes offer lacklustre protection and can be easily damaged. You should write both the collection and delivery addresses clearly onto your parcel in marker pen to ensure it stands out to the person handling your package. If possible, securely attach any pro-forma invoices in an envelope on the outside of the parcel packaging to let customs know they don’t need to take a peek inside. Your parcel must then clear customs safely. As soon as your parcel arrives at customs, it will be scanned and pass through an X-ray to check for items that are restricted or banned for export. If you fail to follow the protocols regarding sending your parcel abroad, customs will sell or destroy the item unless you ask for your items back. If you believe customs were wrong to take away your items, you must appeal for a court hearing. As long as your appeal is approved, you will get your items back – but you may be required to pay for the inconvenience. It is important to bear in mind that when your parcel arrives at its destination, it will be checked again before being redirected to customs for one last screening. If your parcel contains restricted or prohibited items and manages to leave the UK without an issue, it is highly unlikely to get into a country abroad thanks to the advanced machinery on offer. 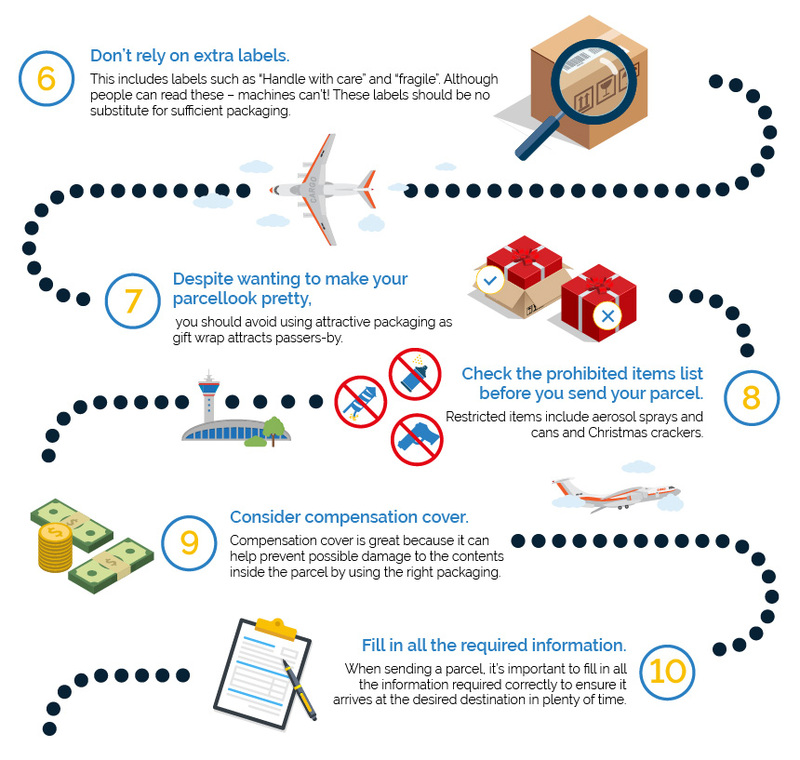 To prevent your parcel being held up before it has even left the country, it is vital to fill out the customer form correctly and to make it clear exactly what your parcel contains to avoid it being scanned again or even opened. Not matter how secure your box packaging may be, if customs are suspicious of what’s inside, they’ll open it without a second thought. For extra peace of mind, putting a contact name, address and telephone number inside your box packaging does no harm. Sometimes parcel labels become loose and fall off during transit – it’s better to be safe than sorry! Want to find out more about how to get your parcel to where it needs to be, on time, and in one piece? Then our couriers can help. Use our comparison tool online today and get a quote now!